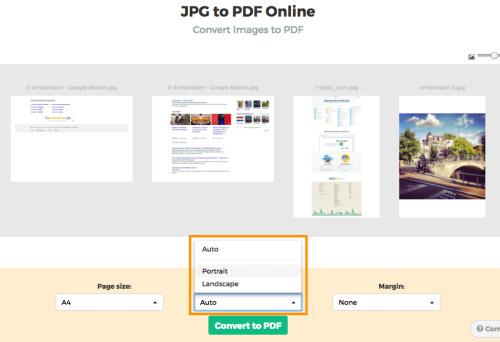 We’re added a few new options to our JPG to PDF converter. JPG is the most popular image format out there, but most of the image formats are supported: png, gif, tiff or bmp all work fine. 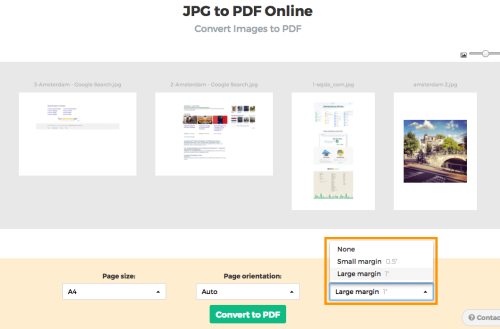 If the default A4 page size is not a good fit, you can now choose another page size or have it fit the image size. By default we’ll auto detect based on the image dimensions if portrait or landscape matches better and use that. If for some reason that’s not a good fit for you, a specific page orientation can be selected. By default no margin is added, so the image will fill the whole page space available. Sometimes its handy to add a small whitespace border around the image. This can be configured as a small margin (0.5 inch) or a larger margin (1 inch). If the images are not in the correct order just yet, you can reorder them by dragging the pages to the correct location. Want to add more images? Just drag and drop files from your computer to the web browser page. 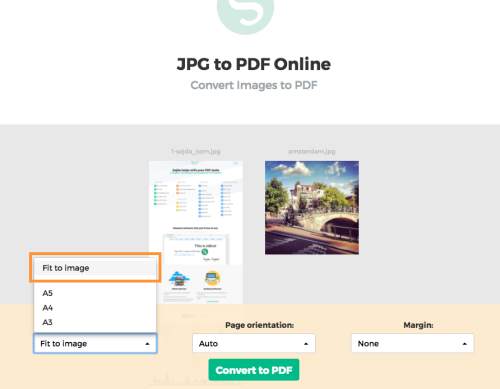 Images, especially scans, are usually large, so the resulting PDF will have a large size as well. 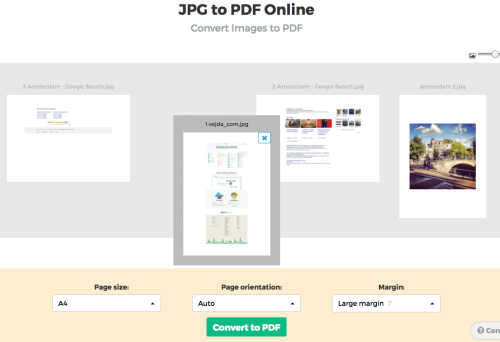 Need a smaller PDF size, to upload to an online application form or send by email? Compress you PDF resulting file using our PDF compressor.